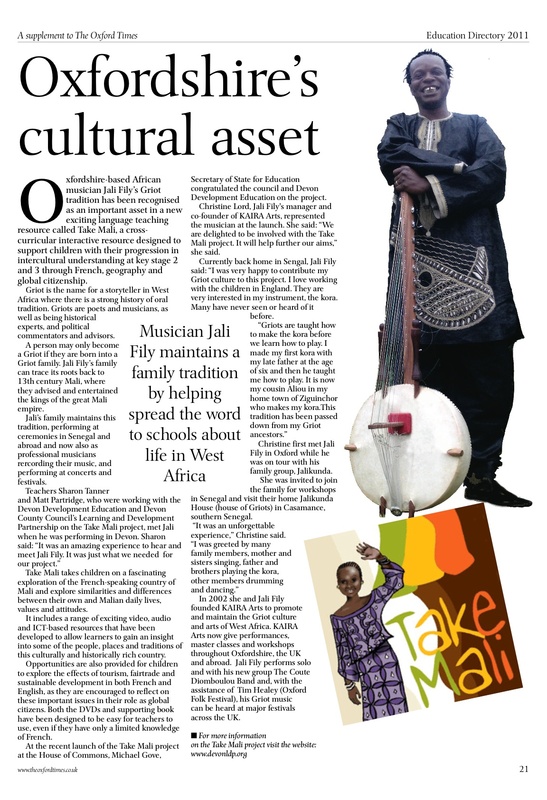 Information about Take Mali workshops, events and activities. Take Mali Project Scoops Top European Award! The 2011 European Language Label has been awarded to the project French, Mali and Tourism managed by Devon Development Education. Children in Devon schools have been practising their French whilst learning about geography, sustainable tourism and global citizenship using an exciting range of multi-media resources; Take Mali is an interactive digital resource produced by DDE and the Learning and Development Partnership, in support of the project. 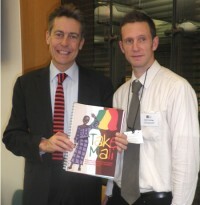 Monday 13th December saw the national launch of the unique cross-curricular learning Take Mali resource. The event, hosted by Rt. Hon. Ben Bradshaw MP for Exeter, took place at the House of Commons. Amongst those in attendance were the Vice-Chairman of the Malian Community Council, a representative from the African Directorate, Foreign and Commonwealth Office, the French attaché from the French Embassy, plus modern foreign language advisers, teachers from across the UK, representatives from international development organisations, including Fairtrade Foundation, and members of the 'Friends of Mali' development group. French, geography and art and design were all part of the mix when this year's Fairtrade visitor to Devon, Abdoulaye Diakite, visited schools across the County. Abdoulaye, an agricultural engineer and organiser of Fairtrade and organic cotton producers in Mali, spoke to the largest number of schools ever by a Fairtrade producer during Fairtrade fortnight in Devon. Abdoulaye gave a fascinating presentation in French to hundreds of primary and secondary pupils across Devon.